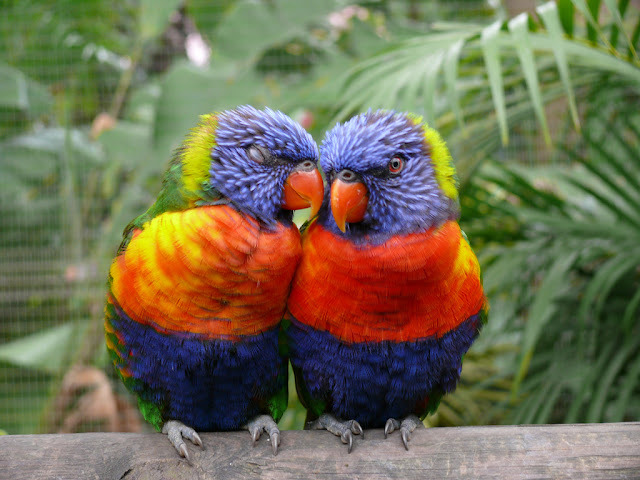 If someone would said colourful birds the first thing that will come to someone's mind would probably be a parrot. Parrots come in different sizes, shapes and colours and above all that some of them talk, often very funny stuff. We can say that they are one of the most popular bird species because their ability to repeat and imitate human speech. Anyway in today's post I proudly present you 10 pictures of parrots! 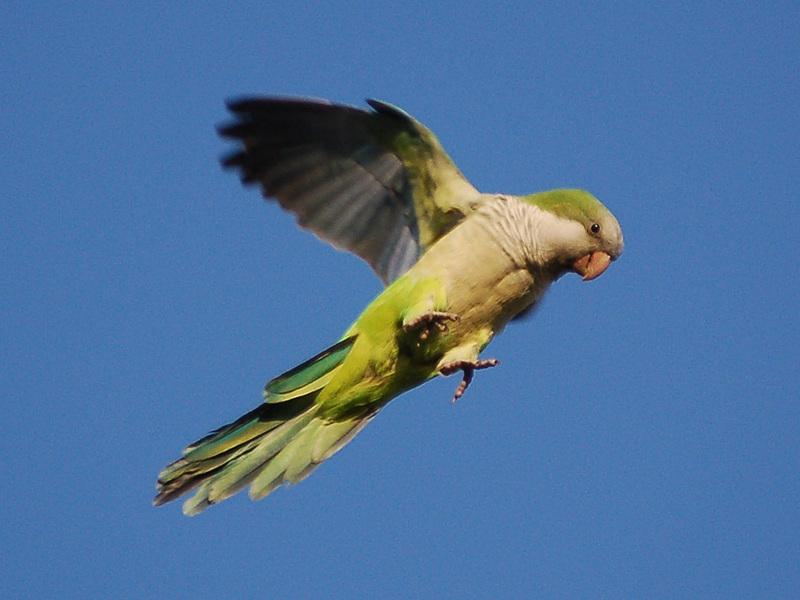 Yes, parrots fly, although we mostly see them on some solid stand. 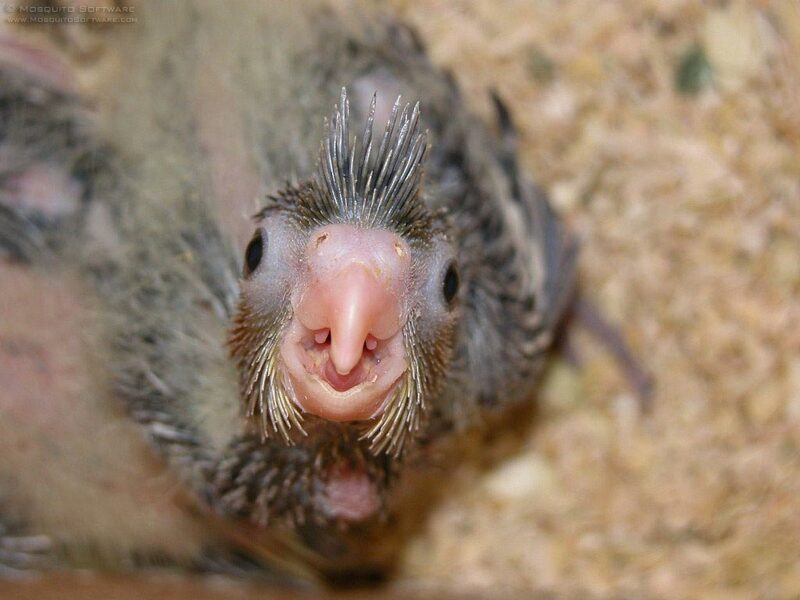 This is image of baby parrot. It looks ugly and sweet in the same time. Don't you think so? Photo of famous green parrot! 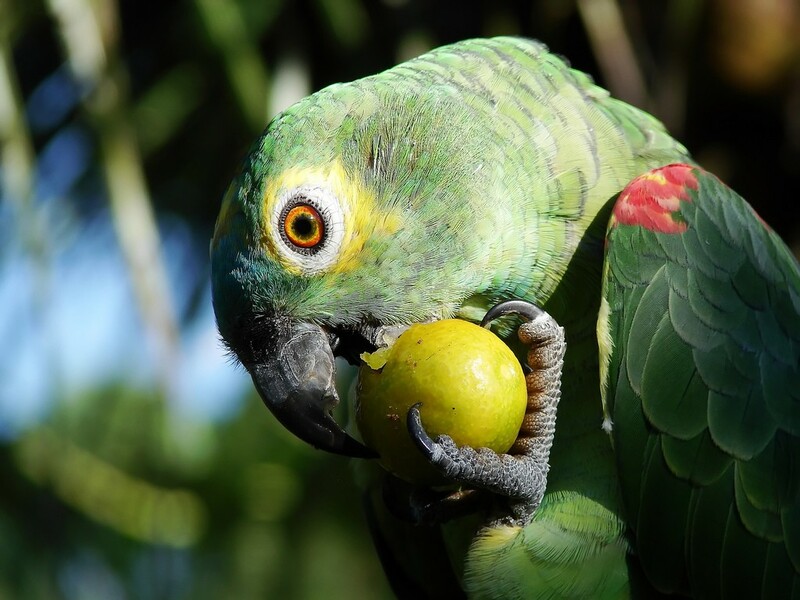 Picture of parrot eating something that looks like apple. Classic image of parrot with classic parrot beak. 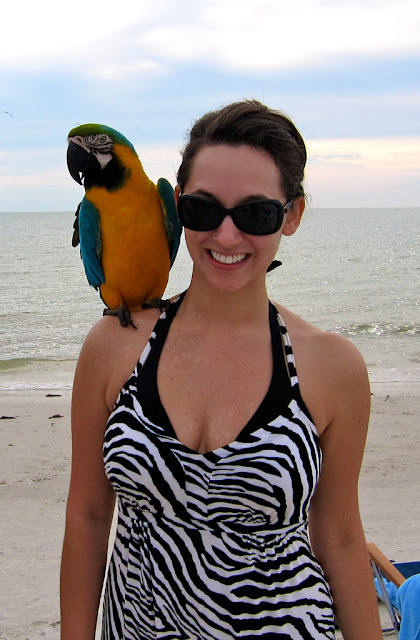 Parrots love people, and people love parrots. This image is the proof . Well parrots also love each others. Aren't they cute? 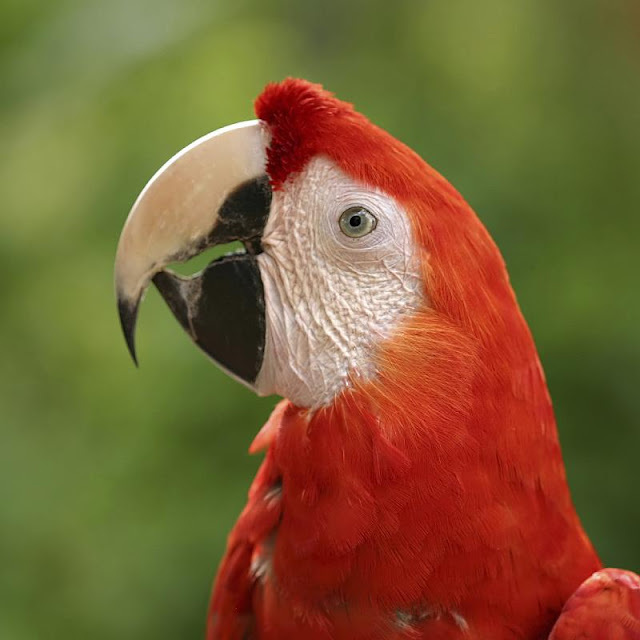 Famous red parrot called Arra. 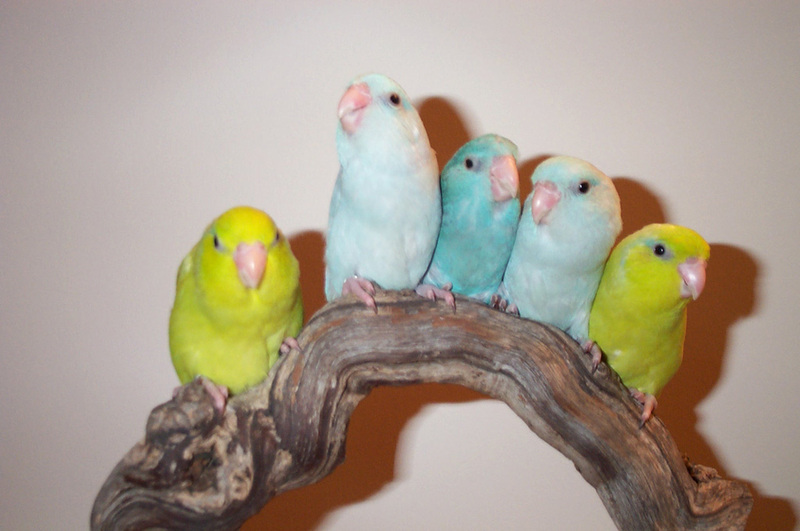 Small parrots on the branch. White parrot with Elvis haircut. This type of parrot is particularly talkative. This is the End of the parrot series. Hope you like the pictures, and hope you like the real parrots too. I sure love them! OMG, I love these :) The one in the top pic is the same kind of bird I used to have. The cockatoo is a parrot, in the order of Psittaciformes (parrots) Although not a "true" parrot, it's nevertheless a parrot. 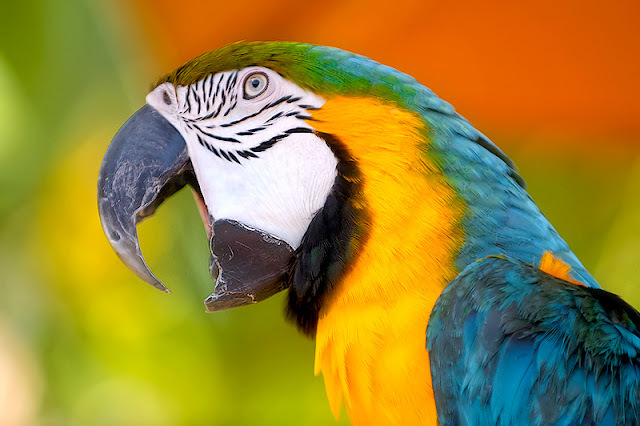 a "TRUE" parrot has a hooked beak where the upper and lower mandible both move, and zygodactyl (opposable 4-toed) feet. 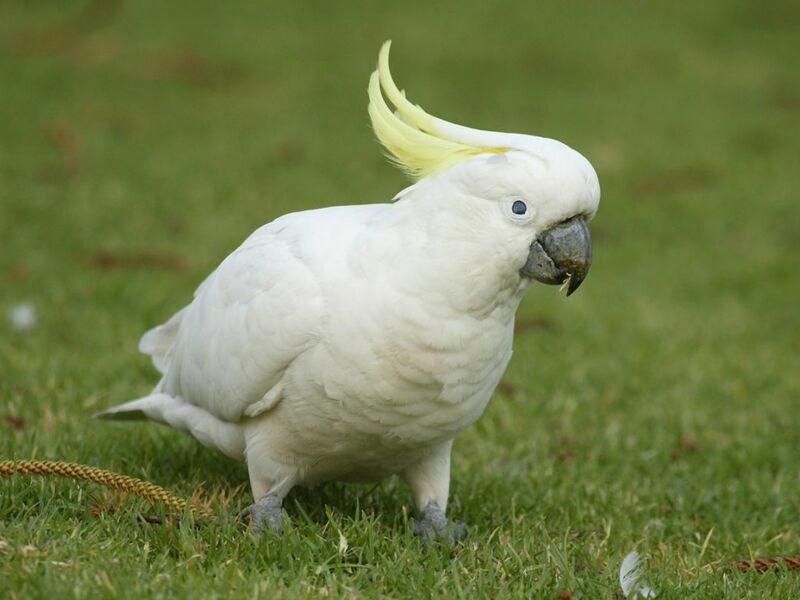 the cockatoo fits both categories--they are TRUE parrots.